Can't make it to Cambridge this year? 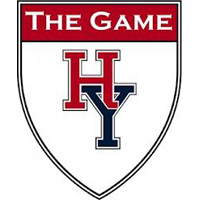 Come watch the The Game with other Harvard alums and local Yalies at the Fox & Hound Pub in Center City. Bring your friends and family to cheer our team to victory in 135th playing of The Game on Saturday, November 17th (Kickoff at 12:00PM)! As in the past, the first team to score a touch down will buy pizza for the others. Go Crimson!!! RSVP: By using form below. Requested but not required.